The PlayStation 4 has had a great start to the next-gen race. However, the price that Brazilians will have to pay could cause some controversy. 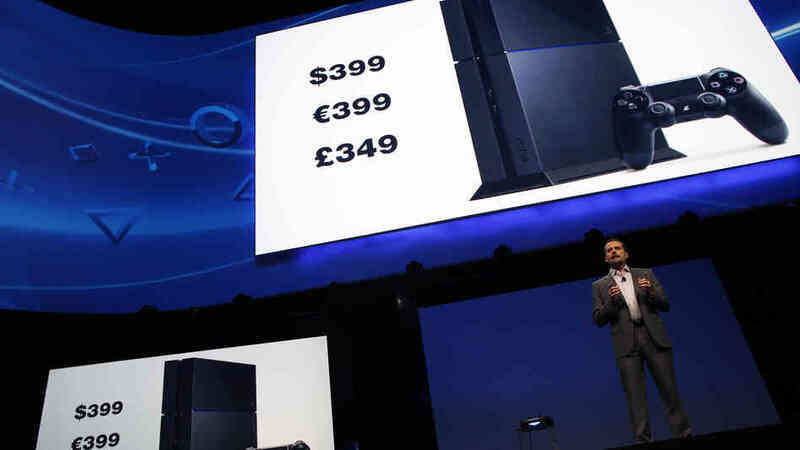 Sony have revealed that the console will cost 3999 Brazilian Real which, is at todays exchange, is around $1845 US or $1905 AUD. This price is far larger than that offered to customers in other areas of the world, such as the United Kingdom where the console costs just £349, or United States where it costs only $399. 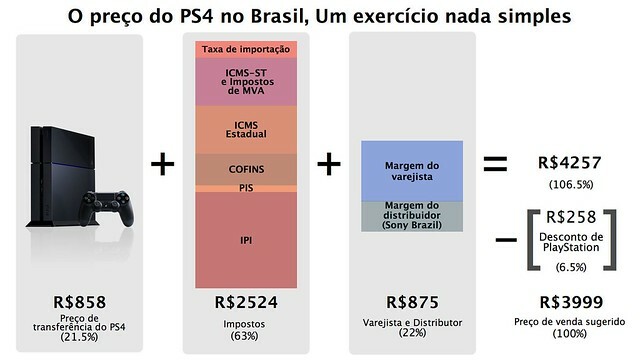 Sony General Manager for Latin America, Mark Stanley, has addressed the issue with some number work that is featured below (albeit in Portuguese). This chart demonstrates 3 aspects that contribute to the pricing on the console. 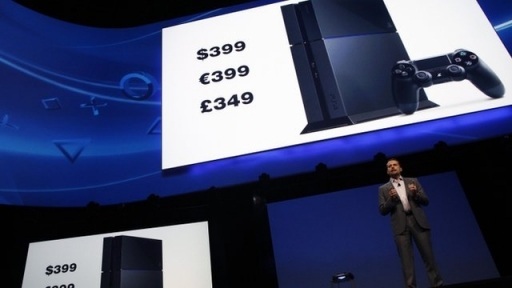 The first is Transfer price, which obviously includes manufacturing and shipping the consoles. The second block in pink is taxes, which makes up for a whopping 63% of the price. The final block in blue is the cut for the distributor which adds up to 106.5% of the sale price. This implies that Sony have already discounted the price by 6.5%, or close to $120 USD. Mark Stanley stated that the exorbitant price is due to the large import taxes imposed on electronics in the region. He also recognized that "It's not good for the gamers and it's not good for the PlayStation brand". On top of this he was very grateful for customers expressing their distaste and misunderstanding of the price. The opposing Xbox One will be sold in Brazil for a rather less price of 2200 real. This is a little over $1000 USD or almost $1050 AUD.